Lithuania's defense ministry has called on EU states to join its "military Schengen project," which it says would "facilitate the movement of troops" in the region. The proposal coincides with NATO's accusations that Russia and Belarus are moving forces between territories of allied states for its military drills. At the latest EU defense ministers' meeting in Tallinn, Raimundas Karoblis announced "practical ways" to increase military cooperation between the EU states, Lithuania's defense ministry reported Friday. Among the proposals put forward by Vilnius is the development of a so-called "military Schengen project that would facilitate the movement of troops in Europe." The Benelux countries – Belgium, the Netherlands, and Luxembourg, as well as Finland and Estonia support the plan that includes "simplifying procedures and investing in infrastructure," according to the minister. "Lithuania supports enhanced EU defense cooperation, and permanent structured defense cooperation must contribute to the increase in defense spending in the EU and the creation of real defense capabilities in Europe," Karoblis said, adding that implementing Lithuania's project "is important both in the EU and NATO." Earlier the European Commission proposed the establishment of a European Defense Fund, planning to allocate 500 million euro ($601 million) for defense by 2020. Last month, Lithuania's president announced that the US will boost its military presence in the Baltic state close to Russia's borders, and possibly double the number of its warplanes in Lithuania in September during Russia's Zapad-2017 drills with Belarus. 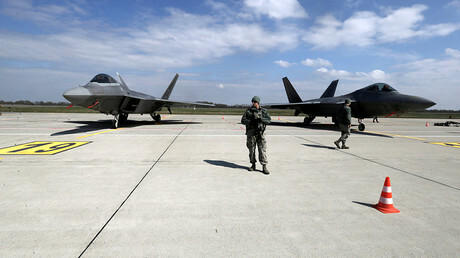 The suggestion to increase military spending and the West's increased overall military presence in Europe come along its criticism of Russia's scheduled military exercises, especially the recent hysteria of some states over the joint Russia-Belarus drills. The maneuvers on September 14-20, hosted predominantly by Belarus this year, will involve some 13,000 troops, 70 aircraft and nearly 700 land vehicles. The two states, which are both CIS (Commonwealth of Independent States) members, stage major joint military exercises every two years, alternating between each country. However, this year's Zapad maneuvers have been the subject of much speculation in Europe, particularly in Poland and the Baltic nations. 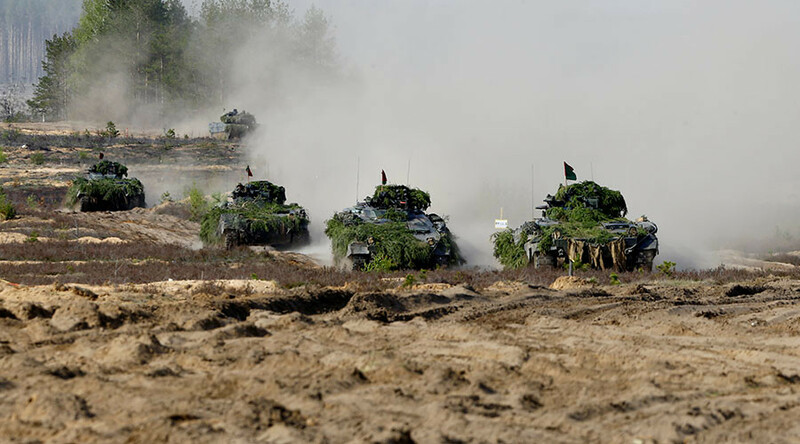 Poland, backed by NATO, claims that Russia could not only deploy more than the declared number of troops, but also that the drills could provide cover for a possible permanent relocation of offensive equipment westward. The Russian defense ministry has repeatedly said the upcoming Zapad-2017 military exercises are purely defensive. 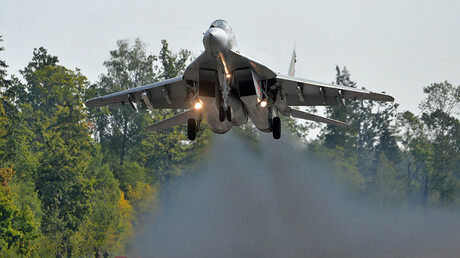 Russian officials have blasted as a "myth" any allegations that the drills were threatening to other nations. "The hype [over the exercise] was fanned up artificially and is definitely meant to convince the Western public that the cost of deploying additional forward military presence in Poland and the Baltics and increased NATO military activity is justified," the ministry said. The Belarusian leader Aleksandr Lukashenko said "the regional Russian-Belarusian group of forces exists – and its existence is not a secret." "Stop apologizing for these defensive exercises," he told his generals.